Definitions and examples of Head Ultrasounds are presented in two views. A head ultrasound uses sound waves to produce pictures of the brain and the inner fluid chambers. This type of ultrasound is often done in infants to evaluate complications of premature birth. It is used for adults during brain surgery to visualize brain masses. A brain and head ultrasound can be used to guide doctors or surgeons during a procedure, such as a biopsy. They are important in planning for certain types of therapy and surgery, as well as in the aftermath to determine whether the patient’s body is responding to treatment. A head ultrasound is often used to diagnose complications of premature birth, including bleeding in the brain. An ultrasound of the head is used on infants to evaluate an enlarged head and to look for infection or abnormal growths. An ultrasound of the head is used to detect a brain mass in an adult. A cranial ultrasound cannot be done until the skull has been surgically opened during brain surgery. It is then used to help facilitate the removal of the tumor or mass. 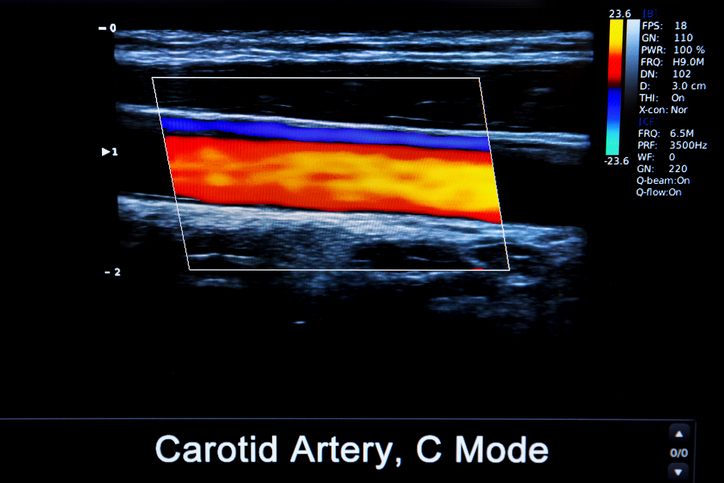 Above: Ultrasounds can measure conditions, including blood flow, traveling to the head.